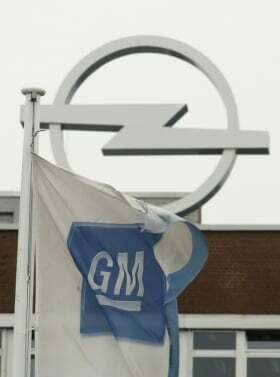 FRANKFURT -- General Motors Co.'s European unit Opel could see next year's operating result reduced by about 1 billion euros ($1.3 billion), as the company may sell fewer cars than set out in its restructuring plan, a German magazine reported. Opel and its UK sister brand Vauxhall will produce 1.4 million vehicles in 2012, less than anticipated in a plan to lift output to 1.6 million units by 2014, Capital magazine wrote in an article on Thursday that cited an internal forecast. Plants in Bochum, Germany, and Ellesmere Port, England, may close as developments of the Astra model are scrapped, it said, citing people with knowledge of the business. GM now requires Opel's management to draft by the end of January a business plan for the coming years that would ensure the business returns to profitability, the magazine said. In response to the article, Opel said it is evaluating strategies to ensure that it's profitable even in a slowdown, and the company is on "a positive path." "Thanks to our excellent model line-up, which will be modernized even further with six new introductions in 2012, we are sure that we can build on our upward market trend," Opel's executive board, supervisory board and workers' council said in a joint statement. Under a restructuring plan presented in February last year, Opel targeted achieving profitability by 2012 following a 20 percent capacity reduction across Europe. Last week, Opel CEO Karl-Friedrich Stracke said he wanted his company to reach annual profits of 1 billion euros starting in 2016 and a margin of 5 percent based on a market share of 8.5 percent in Europe.